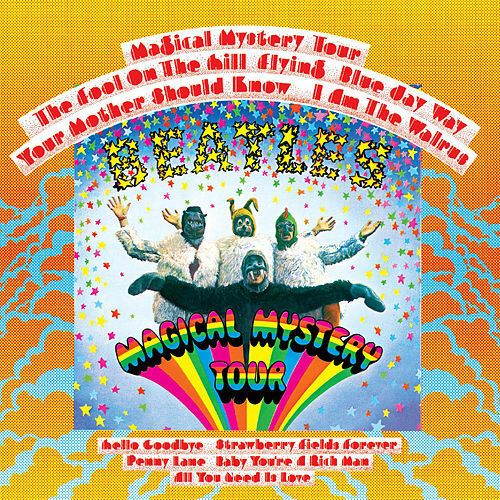 The TV movie Magical Mystery Tour was conceptualized, written, and directed by The Beatles. In the U.K., the color film was initially transmitted in black and white on December 26, 1967. Consequently, the impact of some special effects was diminished by watching in monochrome, which may have contributed to the bafflement and disappointment of some viewers. On the other hand, many viewers were simply expecting some light entertainment for Christmas and not an experimental fantasy. In America, the film was not shown on TV, which made the artwork on the U.S. album all the more mysterious. Nevertheless, The Beatles’ music showcased in Magical Mystery Tour was an undeniable success. 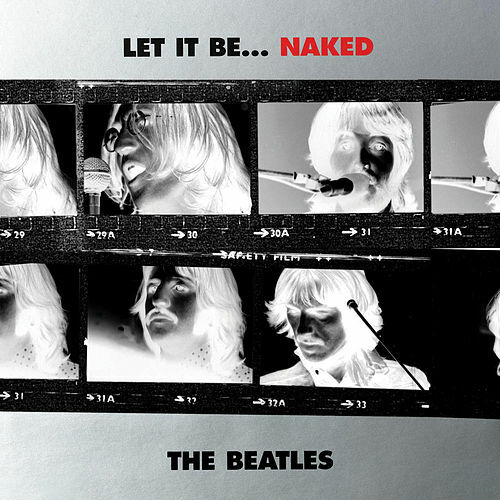 The Beatles’ latest material from the film was released in the U.K. on a double EP featuring three tracks on each 7-inch disc. 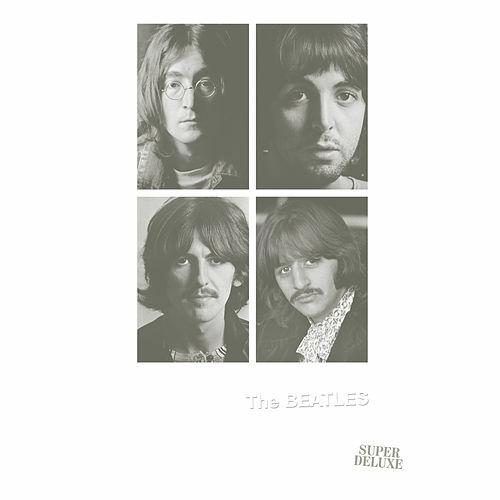 The songs range from the wistful ballad “The Fool on the Hill” and the uplifting “Your Mother Should Know,” to George Harrison’s ethereal “Blue Jay Way” and the wildly experimental “I Am the Walrus.” The Beatles trusted their fans to be as adventurous and open-minded as they were, and many embraced the group’s ambitious new direction. Jeff Lynne said his life was changed when he heard “I Am the Walrus.” “The actual sound of it was just like something from outer space to me. The cello parts are just unbelievable,” he said. In the U.S. and other countries, EP releases weren’t considered viable, so six of the film’s new songs were compiled on an album with the hit “Hello, Goodbye,” and songs from two previously released singles. Regarded as one of the greatest singles ever released, “Strawberry Fields Forever”/”Penny Lane” heralded what was to be a year of groundbreaking recordings. 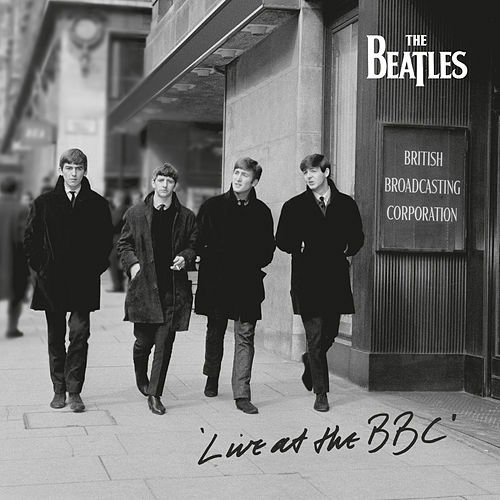 The second Beatles single of the year, “All You Need Is Love,” was performed at Abbey Road during a live global TV broadcast on June 25, 1967. Written for the broadcast, the pioneering Our World program was the first to link five continents by satellite, allowing an audience of more than 350 million to be introduced to The Beatles' buoyant tribute to love. Magical Mystery Tour is a perfect companion to Sgt. Pepper’s Lonely Hearts Club Band. 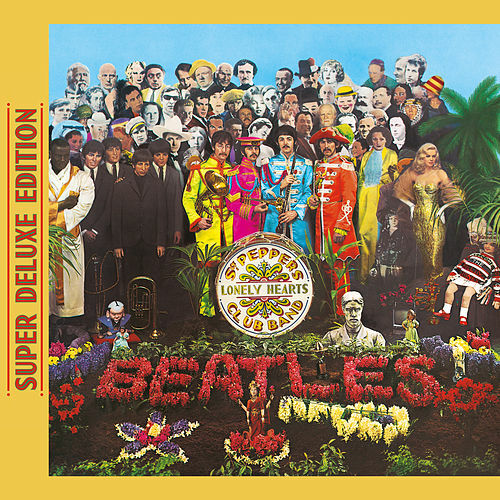 Together, the albums include all of the group’s 24 recordings released in 1967 -- the peak year of what is often described as The Beatles’ “psychedelic” period. Satisfaction guaranteed.